By placing an order with Electro-Image, L.L.C., a Missouri limited liability company (“Electro”) the customer (“Customer”) agrees to be bound by the terms and conditions set forth in this document (this document is referred to as the “Contract Terms”), which Contract Terms shall become part of the contract between Customer and Electro. ELECTRO RESERVES THE RIGHT TO MODIFY THESE CONTRACT TERMS FROM TIME TO TIME WITHOUT NOTICE. Customers may submit purchase orders (“Order”) to Electro in any format allowed by Electro, however, submission of an Order to Electro does not result in a binding contract (“Contract”) until Electro has provided confirmation (the “Confirmation”) in Recorded Format (defined below) to Customer confirming that Electro has accepted the Order, subject to such additional terms and conditions as may be stated in Electro’s confirmation. The term “Recorded Format“ shall mean a format that preserves a permanent record of the information contained, and includes, for example, a facsimile, an email, and written documents. The contract (“Contract”) between Electro and Customer shall consist of (a) these Contract Terms, and (b) any additional terms in Recorded Format set forth in the Order and/or the Confirmation that have been approved by Electro describing the goods and services being sold (the goods and services being sold are collectively referred to as the “Product” or “Products”), pricing, quantity, shipping details and other details specific to the Order. General terms and conditions on a Customer’s purchase order form are rejected by Electro and are not part of the Contract between Electro and Customer. If Electro makes changes to these Contract Terms from time to time, the version of these Contract Terms in effect at the time Customer’s Order was accepted by Electro shall be the Contract Terms applicable to said Order. The term “Contract Price” refers to the total amount due under the Contract. The Contract Price shall be increased by: (a) shipping charges pursuant to Section 5(b), any sales taxes or other taxes applicable to the Order, and (c) any charges pursuant to Sections 8(d) and 8(f), except to the extent that the Contract expressly deals with the amount to be charged for these items. Unless a price quotation is revoked sooner by Electro by a written revocation notice, or unless Electro specifies a different expiration date in writing for its pricing, any pricing quoted to Customer is good for only thirty (30) days after such pricing is first quoted to Customer. Electro reserves the right at any time prior to Electro’s Confirmation of acceptance of a Customer’s Order to modify these Contract Terms and any other terms that may have been provided by Electro to Customer or which may appear on Electro’s website, or which may appear in any brochures or advertisements or other materials provided by Electro. Electro reserves the right to correct any mistakes that Electro has made in any quotations, Confirmations or other materials it has issued. Electro reserves the right not to accept any assignments. In the event that during the course of working on an Order, Electro discovers that the work may be illegal or expose Electro to liability or other harm, or if the Customer has materially misrepresented details about the work, Customer’s financial condition, or any other matter, Electro may terminate the Contract pursuant to Section 16 below. Electro reserves the right to use one or more subcontractors to perform its obligations under the Contract. Performing work for Customer shall not in any way restrict Electro’s right to take on any type of work from any other customers, whether or not the other customers are competitors of Customer, and whether or not Products being produced compete with each other, or for any other reason. Electro reserves the right to require proof satisfactory to Electro from Customer that any materials it is being asked to print or otherwise process are not copyrighted or that the owner of the copyright has given written permission sufficient in scope to allow the work to be performed by Electro, and Electro may terminate the Contract pursuant to Section 16 below if Customer fails to provide the requested proof. Unless other payment terms are specified in the Contract, the contract price shall be due prior of shipment of product. If payment is not received within 30 days after the date of invoice, Customer agrees to pay Electro a onetime late charge equal to ten percent (10%) of the amount due. In addition, Customer agrees to pay Electro interest on all amounts not paid when due at a rate equal to the lesser of: (i) eighteen percent (18%) per annum, or (ii) the highest legal rate Electro is permitted to charge. In the event that Electro files suit against Customer to collect any amount owing by Customer under the Contract, Customer agrees to pay to Electro all costs and expenses incurred by Electro in connection with such litigation, including reasonable attorney’s fees. Customer grants Electro a lien on all Customer materials supplied to Electro as well as on all materials produced by Electro for Customer to secure payment and performance of all obligations of Customer to Electro under the Contract (the “Collateral”). Electro may retain possession of the Collateral until it is paid in full under the Contract. In the event that Customer fails to pay any installment when due on this Order or on any other Order with Electro, Electro at its option may, in addition, to any other remedies it has (i) give notice pursuant to Section 16 terminating any or all unfilled Contracts with Customer, or (ii) suspend work on any or all of Customer’s Orders until Customer has paid all past due amounts, and/or (iii) require prepayment in full for all Work still to be completed for Customer. The provisions of Sections 4(b), 4(c) and 4(d) shall survive termination of this Contract. Should any advance deposits be required, those deposits may be used by Electro as needed and no interest will be paid on those deposits. Deposits will be applied against amounts owing to Electro and any balance refunded to Customer. Unless otherwise specified in the Contract, Product will be shipped FOB from the location at which it is produced in accordance with the written shipping instructions provided by Customer. Title to the Product and Risk of loss with respect to the Product passes to Customer at the point the Product is delivered to the carrier. Customer is solely responsible for obtaining any insurance it desires to carry on the Product during shipment, unless the Contract provides for Electro to arrange for insurance on the shipment. If the Contract does not address the amount of shipping charges to be paid by Customer, then the Contract price shall be increased by the standard shipping charges charged by Electro for the method of shipping requested by Customer. The Product sold will conform to the description of the Product set forth in the Contract, subject, however, to all qualifications and limitations set forth in the Contract. EXCEPT FOR THE WARRANTY SET FORTH IN THE PRECEDING SENTENCE, ELECTRO MAKES NO OTHER EXPRESS OR IMPLIED WARRANTIES CONCERNING THE PRODUCT. Electro’s maximum total liability for all breaches by Electro of the Contract shall be limited to the lesser of: (i) the price to be paid by Customer to Electro for the defective Product, or (ii) the cost of replacing the defective Product. As a condition precedent to Customer’s right to recover any damages under Section 7(a), Customer shall first give Electro a reasonable opportunity to replace the defective Product with Product conforming to the Contract requirements. In no event shall Electro be liable to Customer for any consequential damages, special damages, indirect damages or punitive damages. Electro shall not be liable for any loss or damage to the Product occurring after it is delivered to the carrier that is to ship it. Electro shall not be liable for any loss or damage resulting from errors in materials or in instructions provided by Customer. Electro shall not be liable for any loss or damage resulting from acts or omissions of the carrier that is shipping the Product, or for any other problem arising after delivery of the Product to the carrier, including delays by the carrier in making delivery. The following conventions commonly followed in the printing industry are part of the Contract. Electro will provide electronic proofs if requested (which Customer may view on its computer screen) and/or paper proofs (for an additional fee and additional time added to production) of documents being printed for Customer’s approval, depending on which form of proofs Customer requests. If neither is requested, then production of printing proceeds with files as is. CUSTOMER IS CAUTIONED THAT COLORS AND SHADINGS AS THEY APPEAR ON A FINAL PRINTED PIECE MAY BE DIFFERENT THAN THE WAY THEY APPEAR ON A COMPUTER SCREEN OR A PAPER PROOF. If Customer approves an electronic or paper proof of project ordered, Customer is obligated to pay for the delivered printed materials regardless of whether or not the colors and shadings match the shadings and colors on the electronic or paper proof that was approved. Colors and shadings can fluctuate on re-orders vs. previous orders as well. Once a Customer has approved a proof for a document, the Customer is deemed to have approved the entire contents of that proof, including any errors that may not have been discovered. Electro will print or produce the document in accordance with the approved proof in reliance on Customer’s approval of the proof and Customer shall pay the full Contract Price for the project, and there will be no reprinting or price adjustment because of any errors discovered after a project has been printed or produced in accordance with a proof that has been approved by Customer. In order for Electro to print artwork or designs or images supplied by Customer (“Customer Materials”) in color, those Customer Materials must be provided in CMYK format. If the Customer Materials are not provided in the proper format, Electro will need to convert them to the proper format, and Customer agrees to pay Electro’s charges for such conversion work. Furthermore, Electro shall not be liable for any color distortions or color shift resulting from a conversion of formats. 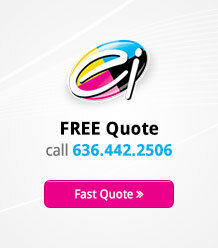 All Customer Materials must be provided in minimum of 300 DPI and CMYK color mode. Electro is not responsible for images printed as fuzzy, distorted or pixilated due to customer provided artwork. Electro is not responsible for any color shift in converted photographs (RGB images) with black, near black, or gray tones. Color shifts from a perceived black or gray must be discussed when the Order is placed. Proofs do not guarantee black, near black, gray or any color final output. Electro may assume that all persons giving instructions on behalf of Customer to Electro concerning the Contract, or proofs, or otherwise with respect to the work to be performed, are duly authorized to act for and bind Customer, unless the Contract in writing specifies that only certain named persons are authorized to act for Customer. Price quotations given by Electro are based on the assumption that all materials provided by Customer to Electro will be provided in the proper format ready to go. In the event that it is necessary for Electro to provide additional services outside the scope of what was described in the Order, the price quoted by Electro will be increased by the amount charged by Electro for the additional services needed, and Customer agrees to pay such additional charges. Examples of additional services for which there may be an additional charge include, but are not limited to, converting the format of a document or file submitted by Customer to the proper format needed to produce the Product, cleaning up formatting or other errors or problems in documents submitted by Customer, extra time spent dealing with correcting problems arising from errors caused by Customer or a carrier, and having to devote excessive amounts of times to downloading files, shipping matters or other matters arising in connection with the Contract. Electro’s ability to provide prompt turn around and to adhere to any schedule set forth in the Contract is dependent on Customer promptly providing all materials to be provided by Customer, and on Customer promptly providing approval of proofs and all other approvals, decisions and information that may be required in order to complete the Contract. Performance by Electro may be delayed due to Customer delays, and other orders may be put ahead of Customer’s order if Customer’s order is not ready for completion because of Customer delays. Electro owns the copyright to all creative work (“Creative Work”) created by Electro and its subcontractors pursuant to the Contract. Electro will produce copies of the Creative Work for Customer’s use from time to time subject to Customer paying Electro’s charges for the work ordered. Customer shall not make copies of or contract with third parties to make copies of any Creative Work on which Electro holds the copyright without the prior written permission of Electro, and Customer shall not use for any purpose any Creative Work that was printed or produced by anyone other than Electro without Electro’s prior written permission. Electro has all rights to post samples of designed client project work on its website for portfolio display and in any online and print marketing purposes for Electro marketing. Customer is granted a nonexclusive license to use documents printed or other output provided by Electro containing Creative Work copyrighted by Electro for their intended purpose. The foregoing license to use Electro’s copyrighted Creative Work is nonexclusive, and Electro reserves the right to license the use of all of Electro’s copyrighted Creative Work to other users. Customer may cancel an order at any time by written notice to Electro (a “Cancellation Notice”), provided, however, Customer agrees to pay the Cancellation Charge as hereafter described in lieu of the Contract Price in the event that Customer cancels an Order after it has been accepted by Electro. If the Order is cancelled before the Product is printed, then the Cancellation Charge shall be equal to the sum of: (i) a reasonable charge for all services performed on the Order prior to the Cancellation, plus (ii) any costs that Electro has incurred in procuring materials to fill the Order that cannot be recovered by returning the materials. If the Order is cancelled after the Product is printed or or other work is completed, then the Cancellation Charge shall be equal to the sum of the Contract Price, plus (ii) any cost that will be incurred by Electro in disposing of the Product, provided, the Cancellation Charge shall not include any costs that can be avoided (for example, it would not include a shipping charge to the extent no shipping charge was incurred for the Order). Customer represents and warrants that the work (“Work”) that Customer is requesting Electro to perform does not violate any laws or the rights of any other person, including, but not limited to, any copyrights held by third parties (“Customer’s Warranty”). In the event that any claim (a “Section 11 Claim”) is brought against Electro claiming that the Work violates any rights of the claimant or claiming that Electro has violated the law by performing the Work, Customer agrees to indemnify and hold Electro harmless against all loss, damage, liability, and expense arising from the Section 11 Claim, including payment of reasonable attorney’s fees incurred by Electro in connection with defending the Section 11 Claim. In the event that Customer believes that Electro has violated the terms of the Contract, it shall be a condition precedent to Customer’s right to bring a claim against Electro for such claimed violation (a “Contract Claim”) that: (i) Customer give Electro written notice describing the Contract Claim in detail within five (5) business days after receiving Product that Customer believes is defective, or within five (5) business days of learning of the claimed violation, (ii) Customer preserve all Product delivered by Electro that Customer claims is defective, (iii) Customer at Electro’s request return all or such lesser portion of the defective Product to Electro as Electro may request, and (iv) Customer provide such additional information as Electro may request concerning the Contract Claim. Electro shall be excused from performing any obligation or undertaking in this Contract in the event and/or so long as the performance of any such obligation is prevented, delayed, retarded or hindered by act of God, fire, earthquake, flood, explosion, actions of the elements, war, invasion, insurrection, riot, mob violence, sabotage, inability to procure equipment, facilities, materials, or supplies in open market, failure of power, failure of transportation, strikes, lockouts, action of labor unions, condemnation, requisitions, laws, orders of government or civil or military authorities, or any other cause, whether similar or dissimilar to the foregoing, not within the reasonable control of Electro (collectively, “Force Majeure Events”), and any deadlines for performance shall be extended by the number of days that performance has been delayed by Force Majeure Events. Orders from Customers will be accepted at Electro’s office in Chesterfield, Missouri. Accordingly, the Contract shall be governed by Missouri law, without regard to the laws of conflict. Any litigation concerning the Contract shall be conducted in the State or federal courts in St. Louis County, Missouri. Unless the Contract explicitly provides that Electro is retaining Customer records for a specified period as one of its services, Electro is not undertaking to store or retain any documents, files or materials provided by or produced for Customer, and Electro may dispose of such materials at any time following completion of its work under the Contract. Customer should retain copies of all documents, files or other materials that it may need in the future. An “Electro Termination” shall mean a termination of the Contract by Electro. As provided in these Contract Terms Electro has reserved the right to terminate the Contract if the Customer is in default and also under other specified conditions set forth in the Contract Terms. The following provisions shall apply if the Contract is terminated by Electro: (i) Customer shall remain obligated to pay for services performed up to the point of the Electro Termination, (ii) any advance deposits received from Customer shall be refunded, less any amounts owed to Electro, (iii) all provisions in this Contract which are by their terms to survive termination of this Contract shall survive termination of this Contract, and (iv) the Contract shall terminate and neither party shall have any rights or obligations thereunder other than the obligations which are to survive termination. Any amendments to the Contract shall be in Recorded Format. These Contract Terms shall survive any termination of the Contract for any reason, provided, however, Electro shall not be obligated to perform any more work under the Contract after the Contract terminates, and Customer’s payment obligations for work performed prior to the termination of the Contract are limited as specified in the Contract Terms. All provisions in these Contract Terms (including, but not limited to, indemnities and limitations on liability) are also intended for the benefit of Electro’s employees and subcontractors. We do not accept returns or exchanges unless the item you purchased is defective. If you receive a defective item; please contact us at 636-777-7873 with details of the product and the defect within 15-days of purchase. You can send the item you consider defective to: Electro Image LLC – 1734 Clarkson Rd., #247 – Chesterfield, MO 63017. Upon receipt of the returned product, we will fully examine it and notify you via email or phone, within (3) business days, whether you are entitled to a refund or a replacement as a result of the defect. If you are entitled to a replacement or refund, we will replace the product or refund the purchase price, using the original method of payment.